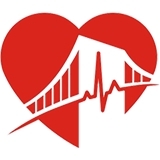 Brooklyn Heart (New York) - Book Appointment Online! Our mission is to provide individualized treatment for cardiovascular health without compromising quality of care, one person at a time. At Brooklyn Heart we place the patient first at the center of attention, listening to their needs and then to teach them how to live healthier, while healing and relieving their pain and suffering. Maybe the best doctor I have ever visited.